I was 16 when I went on my first sales call. While slamming his hand on his desk, the buyer barked at me “What have you got new, exciting and different for me?” Unfortunately, the company I was representing offered nothing new, exciting or different. I was there to show him “me-too” products of the likes he has seen many times before. That awkward moment, where words couldn't even sputter from my mouth, changed the course of my future! I vowed to myself that I would never again represent or show a boring me-too product or service. The timing couldn't have been more perfect. Digital was killing off every industry and the entrepreneurs with the guts, adrenalin and vision were poised to reinvent each of the industries destroyed. One theme that has remained consistent in all of my start-ups was the fact that what I build, you most likely have never seen or heard of before. In the year 2000, my first company developed one of the world’s first digital ink and paper solutions that would allow you to print digital art and photos that were tested and rated to last beyond 100 years before noticeable fading or colour shift. 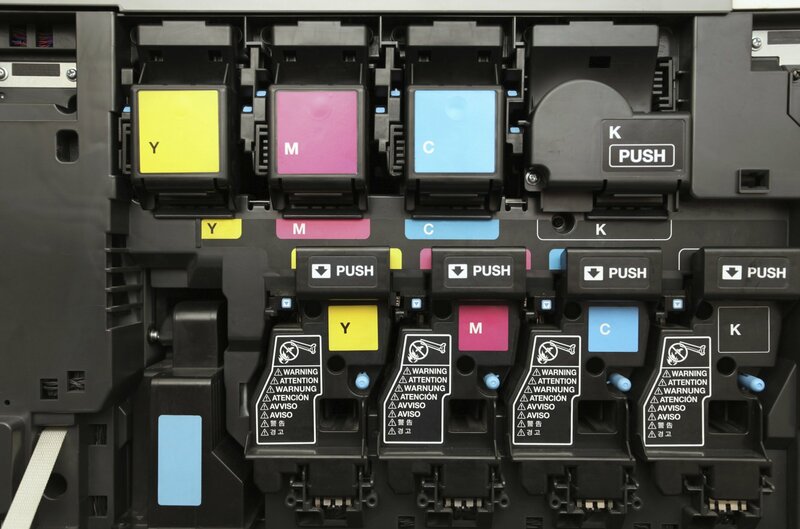 At the time, the inks that came with inkjet printers would fade or shift colour prematurely, sometimes within hours. My next project was to do away with those pesky, expensive, one-time-use inkjet cartridges so I developed the first of its kind inkjet printer “bulk feed ink system” allowing a user to simply pour ink into bottles that fed into their inkjet printer rather than having to buy expensive cartridges that ended up in our landfills. We were applauded for the money-saving, environmentally-friendly solution. During the height of our sales of products used for the print side of digital photography, I had a disruptive vision to develop and manufacture one of the first lines of Digital Photo Frames that would allow you to view, rather than have to print, your digital photos 24/7, at any time, anywhere. Our Digital Photo Frames won design awards four years in a row and were sold through most professional camera stores across the United States as well as by top retailers and e-tailers. On the heels of mastering the development and manufacture of niche electronics married to web API’s, I set my sights on the floundering music industry. I designed an MP3 Player in hopes to displace CD sales and to bring physical music distribution back to retail. An album series was embedded on the MP3 player with the album art printed on the top of the player and track listing printed on the back. My young team of developers hacked away and we built a music portal that allowed replenishment of music and other digital content to flow back and forth between our portal and our MP3 player. I built solid relationships with Legendary Artists who were craving solutions to make up for the decline in music sales. When social media started to make an impact for these artists, their fans typically did not believe it was them doing their own tweets or Facebook status updates. So they turned to me, “Norm the Inventor” (as I am known) for a cool and powerful solution for authentic engagement with fans across all social media. It was drilled into my head, by the legendary Chuck D (Public Enemy) that artists no longer make money selling music, but rather by selling more merchandise and concert tickets. ShoutOmatic was born out of the core coding and API connectivity of the Digital Photo Frame sharing technology originally built to route digital photos to any desired viewing device. ShoutOmatic’s initial ambition was to bring authenticity for fans while helping artists to sell more merchandise and concert tickets. It was our firm belief that when fans hear the artist asking for sincere support, in their own voice, fans are more willing to open their wallets and buy. ShoutOmatic is the first of its kind voice overlay platform that allows your actual voice to be heard across all social networks, web sites and blogs. It also allows any inanimate object to come to life with voice messaging including artists merchandise, ticket stubs, billboards, ads, posters, flyers, product packaging, POP Displays, apparel, etc. After the voice message is heard, it automatically opens to any URL that the brand, band or celebrity desires you to visit; shopping page, iTunes store, Facebook page, Youtube video, venue ticketing page, coupon page, etc. I strongly believe that ShoutOmatic is the next logical step in social media. With the help from my young gun rock star coders, we developed ShoutOmatic not as a stand-alone social network, but rather as a tool that enhances the use of all of your social media activities by allowing for an emotional connection not possible with 140 characters of text alone. ShoutOmatic was recently granted a United States Trademark for the word “Shout” and is defined as any means to distribute audio messaging via mobile device or Internet for social media purposes. Most of my friends think I sleep with the Trademark document under my pillow every night, whereas in reality it’s the words of Walt. Stick to it and never be “me too”!